About — WeYouMe - Peer to peer social media. Powered by We, You, and Me. Create boards and groups for your community or interest. Boards allow everyone to post, and participate in discussions around a particular topic. Groups let you determine who can join, and who can post content. Creators of valuable communities earn rewards for the curation work that they do. Encrypted private messaging, made simple, and fun. Only the sender and the recipient have access to the message data, using encryption. Messages are sent rapidly, and stored across the supernode network. Supernodes are rewarded for relaying messages by the blockchain protocol. The freedom of both public and private posts, using encryption. Post publicly to the entire network, or privately to the accounts you connect with. Nobody else can access them. Not even us. Post from your profile account for better security and reputation, or post from your persona account for better privacy and freedom. Posts can be stored permanently in the public blockchain, or for predetermined time in the supernode network. You own your own data, and hold the keys to your identity. Your private data is encrypted, meaning that only the accounts you connect to can access it. Private data cannot be used for advertising targeting, sold to third parties, or leaked from a central database. Because there isn’t one. Fine tuned control of account connection levels, so you can easily determine who gets to see each part of your content and private data. Easily earn by sharing the content you love. The protocol rewards content creators when they upload high quality content, that the community votes for. The more you contribute to the network, the greater your voting influence to shape the platform. Send and receive tips easily for your content, without friction. Powerful monetization options for creators. Sell premium content by releasing a decryption key to paying viewers. Earn ongoing subscription fees from your fans for tiered access to exclusive posts. Charge a micropayment for users to comment on your posts, that is redeemed when you reply to them. Cryptocurrency, made easy for everyone. Username addresses. No QR codes. No transactions fees. Just send money to anyone anywhere within 3 seconds. Send recurring payments for regular purchases, or subscriptions. Just set it, and forget it. Send payment requests to your customers that they can simply accept in one button. Fast block times, for your fast paced world. Hybrid Delegated Proof of Stake and Proof of Work consensus algorithm to ensure optimal speed and security. NFC payment capability on mobile devices for frictionless commerce. Multiple cryptocurrencies supported in the wallet for sending and receiving your digital assets. Integrated Decentralized exchange for seamless trading. Deposit and exchange a wide variety of digital assets securely. Maker and taker fee schedule that facilitates free trading for market makers. Margin trading and option asset issuance on chain. Autonomous liquidity arrays for all assets. User Issued Assets for representing anything of value. Create gateway assets for trading any external asset or cryptocurrency. Create cryptoequities to offer voting power and automated returns to your investors. Full customization for issuance of digital securities. Create cryptocredits to offer debt instruments to creditors, with an autonomous repayment schedule and interest distribution. Peer to peer integrated marketplace for selling products and services. Create your own store for selling products directly to your customers, and receive fast settlements. Buyers and Sellers are secured with a multiparty mediation system that offers low fees. Choose your own advocate for dispute resolution. Mediators are rewarded for their services, and ensure their integrity with a security deposit. Reputation ratings for quality assurance of buyers and sellers. Create your own application and start earning right away from network fees when you drive revenue. Upload your application to the Supernode network, with native access to the blockchain and network smart contracts. Sell content, products, or services on your own website, powered by the WeYouMe blockchain. Harrison authored the WeYouMe whitepaper during 2016, and established the project while studying at Monash University. Harrison has a passion for designing voluntary systems of interaction to empower humankind, accelerate technological improvement, and protect the intrinsic rights of life, liberty and security of property. Harrison brings his crypto-economic design and blockchain architecture skills to the WeYouMe team. Lyndon is a passionate expert in creating markets for innovative new technology and businesses. Lyndon is the Founder of Getlunched, and now the Blockchain Agency & Zoetic.ai. Zoetic is a technology network focused on the implementation and growth of blockchain projects and technologies globally. 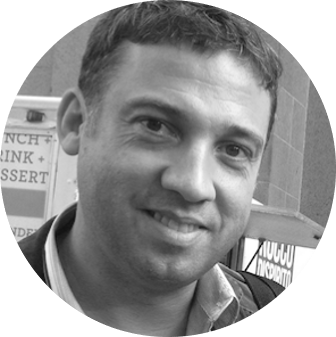 Lyndon brings his Advertising, Marketing & Business development skills to the WeYouMe team. John earned a B.A. in Economics and a J.D. both from the University of Michigan. John is an active Committee Member on the BitShares Decentralized Autonomous Organization. In that capacity he is engaged in decentralized governance and supporting the longest running ‘Stablecoins’ or pegged cryptoassets. John resides in New York City where he works in the private investment funds industry.